A longtime Wauseon business is under new management but still offers the same quality products and service. Delphos Granite Works, 1398 N. Shoop Ave., is now owned by Rick and Laura Dulaney. The couple took ownership Oct. 3 from Beverly Meridew. Meridew had owned the business for seven years, but wanted to retire and spend more time working on a house she and her husband had purchased. She had a booth at the Fulton County Fair and Laura Dulaney happened by. Dulaney was looking for a new career after working out of her home for several years. She thought that experience would do well the Delphos business. The business makes headstones for cemeteries and other engraving needs. The Wauseon business is the licensed dealer for Fulton County for Delphos Granite Works of Delphos, Ohio. The store is open 10 a.m. to 4 p.m. Monday through Friday and by appointment evenings and Saturday. For more information, call Laura Dulaney at 419-335-5400. © 2016, James Pruitt. All rights reserved. 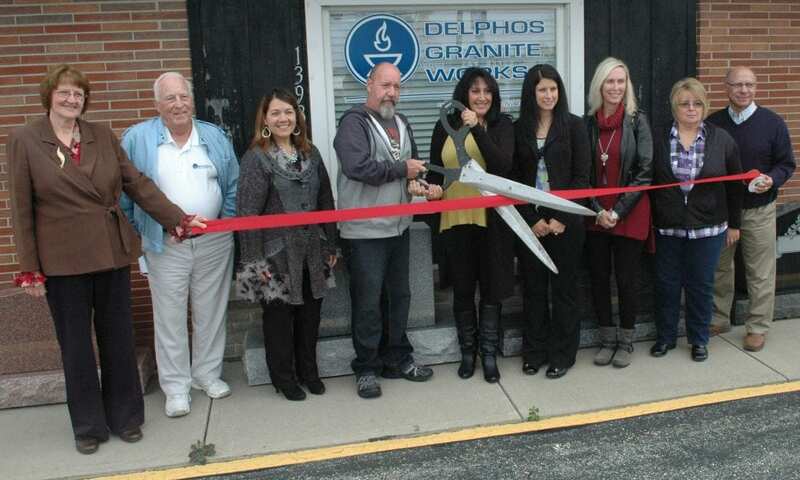 Be the first to comment on "Wauseon Chamber Host Ribbon Cutting For Delphos Granite Works"